In the seventeenth century, there grew on the sloping hillside east of Karlovo náměstí (Charles Square) a vineyard where, in 1691, a small wooden chapel was established in memory of John Nepomuk by Kristian Florian Heger. 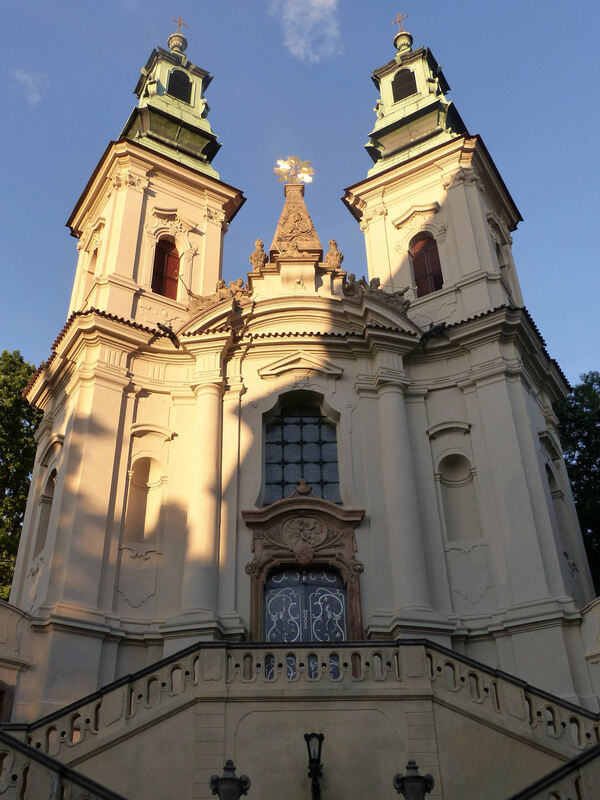 The chapel was gradually enlarged, as much as the steep slope would allow, until in 1730, a year after the saint’s canonization, the foundation stone was laid of this baroque masterpiece by Kilián Ignác Dientzenhofer. The church, which took eight years to build, was administered by monks from the nearby Emmaus monastery and was originally accessible only from the gardens on Charles Square. The grand double staircase scaling the rock after which the church is known (‘na Skalce’) was completed later, in 1776. 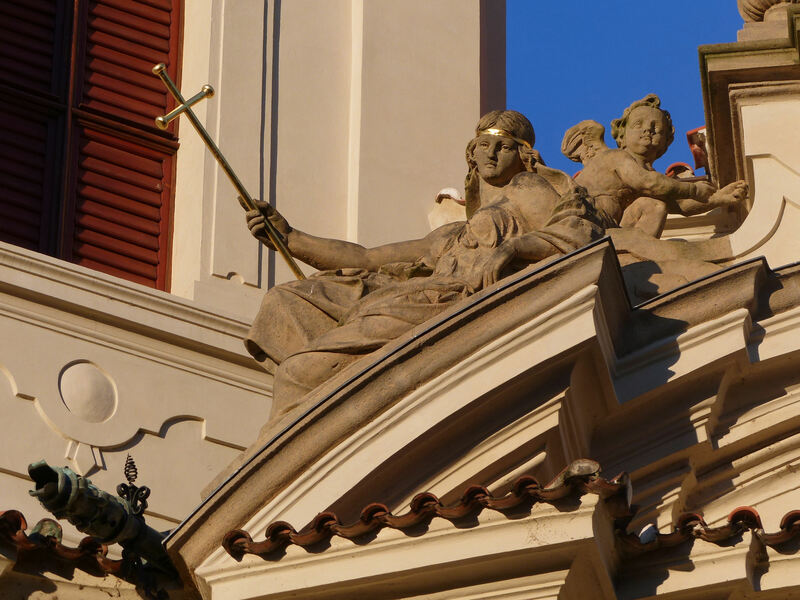 The church on the rock contains a very beautiful interior with a ceiling fresco of 1738 by Franz Anton Müller; and among its treasures is the 1682 maquette by Jan Brokoff for his full-size statue of Jan Nepomuk on the Charles Bridge.